A former police station has been given the go ahead to be turned into a house. Adlington police station, which closed in June 2012, is set to become a house with a single extension to the rear. Chorley Council’s development control committee gave the green light to an application by Silver Grove Properties Ltd at a meeting last Tuesday evening. The plans for the Church Street building were unanimously approved. The station did not escape Lancashire police budget cuts of £42m over four years. 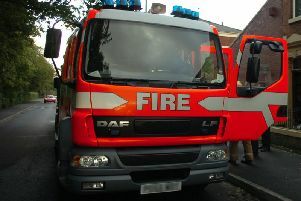 Lancashire Police said it was looking to close several stations across the county and sell them. However, anti-social behaviour reports in Adlington soared following the closure. Statistics published after a Freedom of Information request revealed that, since it shut, total calls went from 1,074 in the two years before the closure – from June 1, 2010 to June 1, 2012 – to 2,938 in the two years after – between June 2 2012 to June 1 2014. Lancashire Police said the tripling in the figure could be partly down to how figures are now logged, with people ringing crimes in rather than reporting them to an officer in person at the station.